This week 20th Century Fox’s summer blockbuster War For The Planet Of The Apes has been released to Blu-ray, 3D Blu-ray, and Ultra HD Blu-ray Disc. Following an early Digital Release of the film, the Blu-ray combos include bonus materials such as deleted scenes with optional audio commentary, several featurettes, a concept art gallery, and film commentary with director Matt Reeves. Each Blu-ray combo edition also comes with a second disc and a digital copy. 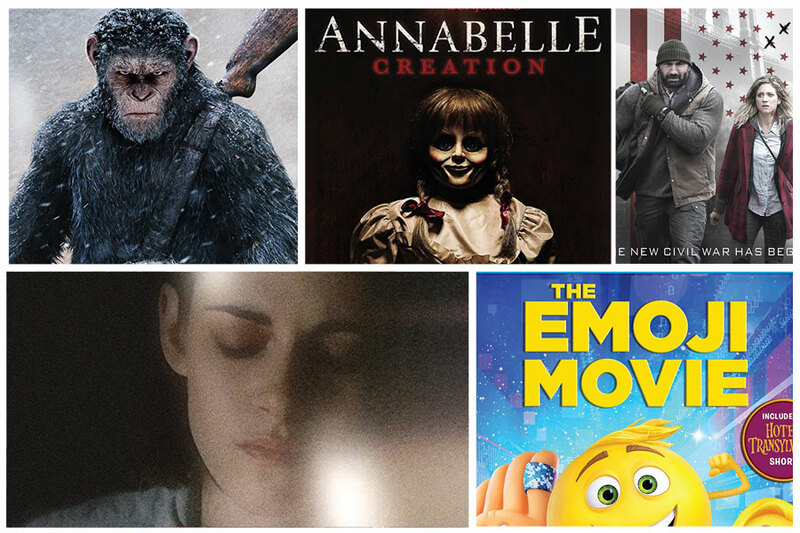 Other mentionable Blu-ray releases this week include the horror film Annabelle: Creation, Columbia Pictures’ animated feature The Emoji Movie, The Walking Dead Season 7 Limited Edition with Spike Walker Statue, mystery/drama Personal Shopper starring Kristen Stewart, and the documentary An Inconvenient Sequel: Truth to Power. On Ultra HD Blu-ray Disc this week we have War for the Planet of the Apes, Planet of the Apes Trilogy, A Charlie Brown Christmas, A Charlie Brown Thanksgiving, The Emoji Movie, and Warrior.